A change in operating hours could mean more changes to bus routes next fall. The Boston School Committee on Wednesday approved a new policy that would change the start and end times at many schools across the city for next fall, and officials planned to disclose what the new hours of operation would be at individual schools Thursday. Officials spoke only in broad terms prior to the meeting about what the proposed policy calls for — having more high schools start after 8 a.m. and having more elementary schools dismiss students before 4 p.m.
During the meeting, several members said the new policy would benefit students. “We know what this means: better outcomes for our students,” member Michael Loconto said. Members also said they were prepared that not all families would be happy with the changes. The seven-member School Committee approved the policy unanimously. School officials planned to reveal to principals, teachers, and families Thursday what the new start and end times will be at their schools. They plan to send letters to parents and post the information on the school department website. 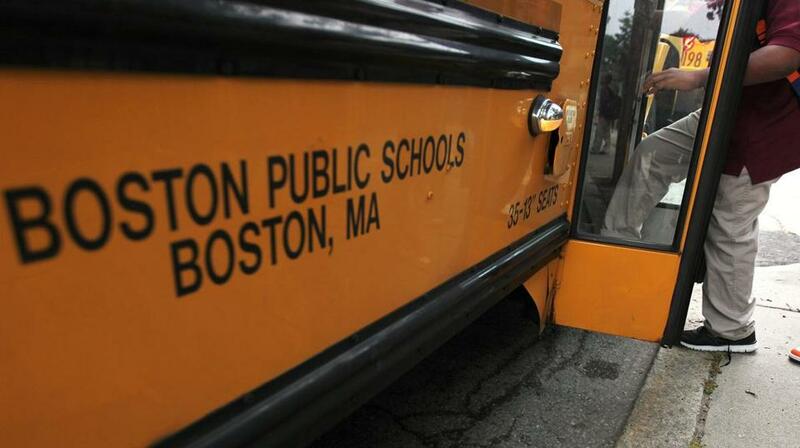 School officials are crafting the new operating hours with a team of researchers from the Massachusetts Institute of Technology — the same team that recently helped the school system come up with new bus routes. A change in operating hours could mean more changes to bus routes next fall. School Superintendent Tommy Chang said as soon as the School Committee votes — and assuming the board passes the new policy — the MIT research team will run final scenarios and make any tweaks based on changes to the proposed policy by the committee. “They are going to be working all evening to get this done,” Chang said before the meeting. In a conference room Wednesday evening, two of the MIT researchers — Arthur Delarue and Sebastien Martin — were ready to get going on the final calculations. Their two laptops were connected to about 100 other computers, allowing them to run 100 different scenarios through an algorithm for start and end times for the district’s 125 schools. The algorithm takes between an hour and 90 minutes to run. It also generates new bus routes at the same time. Those bus routes, however, would need to be adjusted over the summer based on updated enrollments for the schools. “Maybe it will please everyone, but that is unlikely,” Delarue said. Surveys conducted by the school system in recent months found most of the more than 6,000 parents who responded preferred start times between 8 and 8:30 a.m., while others liked earlier or later times. Boston schools, which serve 56,000 students, currently start around 7:30 a.m., 8:30 a.m., and 9:30 a.m.
Dan O’Brien, a school spokesman, said before the meeting that start times at some schools could change dramatically, others will stay the same, and some will change only slightly. The potential changes, more than 18 months in the making, aim to remedy two big problems. First, a mid-morning start at dozens of elementary and K-8 schools pushes dismissal time to after 4 p.m., putting buses on the road at the height of rush hour while also forcing young students to walk home in the dark. At the other end of the spectrum, bleary-eyed teenagers are arriving to high school just after daybreak. Yet a growing body of research indicates that teenagers should be sleeping in because the changing biology of their bodies pushes the start of their natural sleep cycle to 11 p.m. or later, making it difficult for them to get at least eight hours of requisite shut-eye. In another development, the School Committee is looking to create an internal audit task force and an auditing office to more closely examine spending in a system that spends more than $1 billion annually. The move comes after the IRS found sloppy bookkeeping, missing receipts, and stipends paid to some individuals off the books when it recently audited student activity accounts at more than a dozen schools, setting off a week of controversy. An independent auditor has not existed within the school system in many years and instead the system has relied on internal auditors from City Hall who may not have expertise in school finance, according to a School Committee presentation. The task force would report directly to the School Committee chairman or a designee.